I know I say this every July... but I can't believe summer is halfway over. 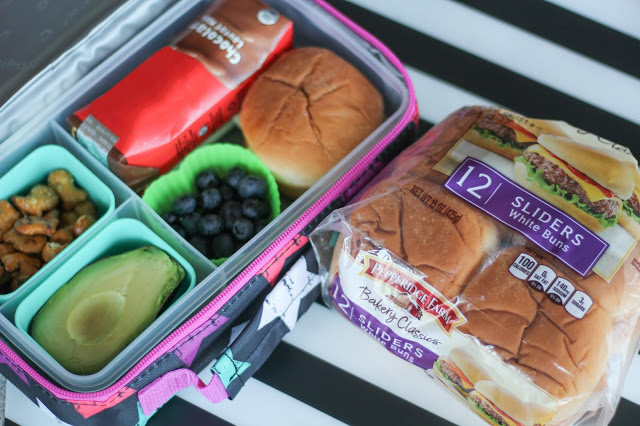 Pretty soon it will be time to start thinking about backpacks and lunchboxes and if you've got a picky kid like mine, that's a stressful line of thinking. This will be the first year I have to pack a lunch for Jacob every single day and the thought is a bit daunting. I've been trying out some new foods on him this summer and thinking of ways I can mix things up and not send the same thing every day. 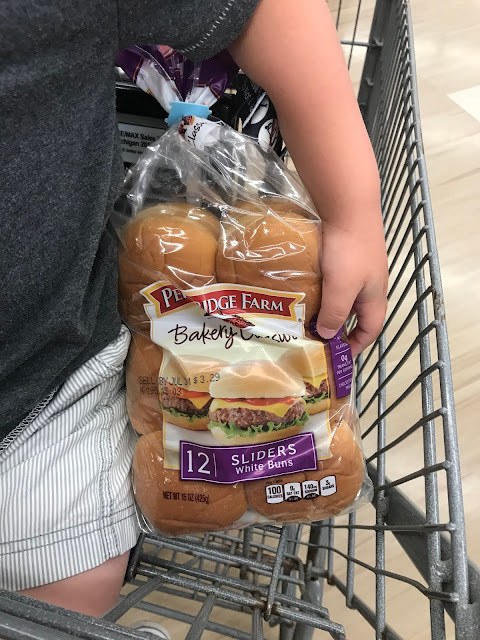 I recently came across Pepperidge Farm® Bakery Classics Slider Buns and I knew it would be a great alternative to sandwiches for Jacob because he LOVES hamburgers, and anything you put on these sliders automatically looks like a mini hamburger! 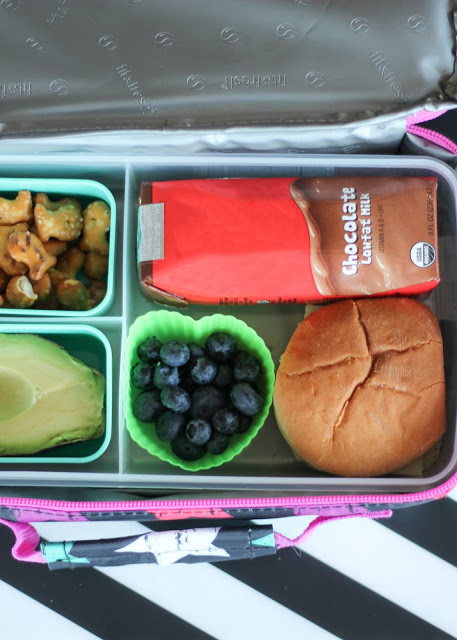 The most important thing to keep in mind when packing a lunch is that it needs to be something your kid likes to eat. 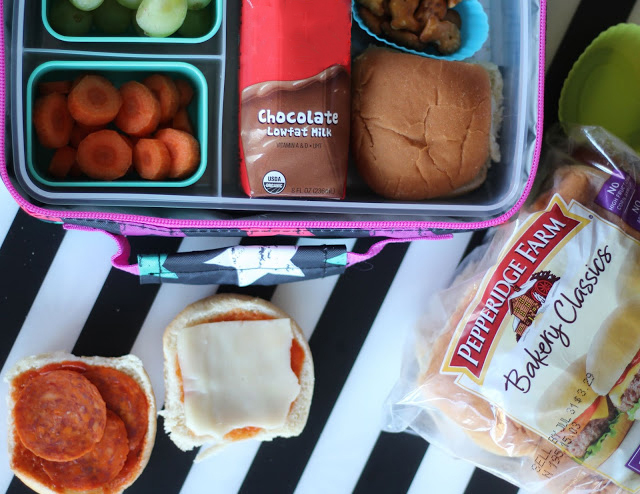 Without you there, no one is going to make your child eat a lunch they don't like! 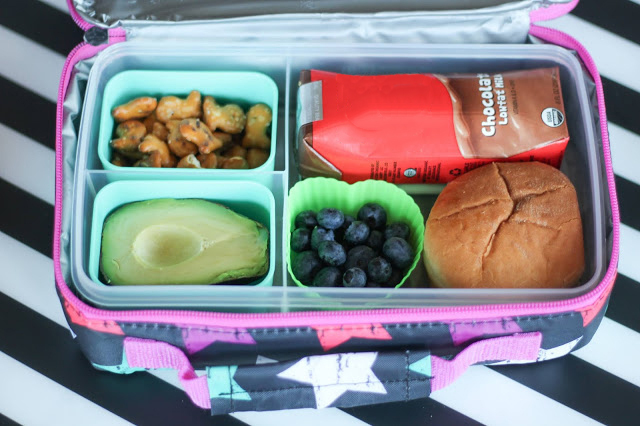 The lunchbox is not the place to introduce new foods - try them at home first to make sure your child is familiar with them and will willingly eat them. We've taken a few simple sandwich recipes for a test drive and gotten two thumbs up on each one so I thought I'd share them with you here to give you a few ideas! 1. Pizza sliders. Jacob loves pizza and this combo has all the same flavors - pizza sauce, provolone cheese, and pepperoni. You could add other pizza toppings too like peppers or mushrooms, but Jacob's a plain pepperoni kind of guy. 2. 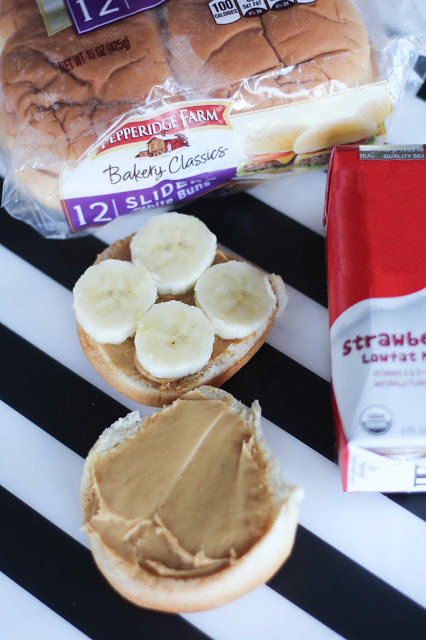 Peanut Butter and Banana sliders. You could also use jelly, or strawberries, or fluff... whatever floats your kiddo's boat! If you've got a nut allergy in your kids class you can substitute in a nut free butter like sunflower butter or tahini. 3. Salad sliders. Tuna salad, chicken salad, egg salad. All of these are great with a little swiss cheese! 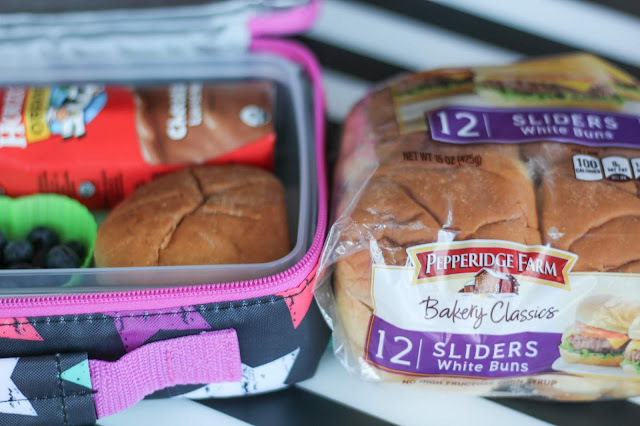 Pretty much anything you would put on regular bread you can put on Pepperidge Farm® Bakery Classics Slider Buns, they're super versatile! They are the perfect size to fit inside lunchboxes and in little hands. They're just big enough that I know Jacob will fill up, but not have a lot of extra go to waste. 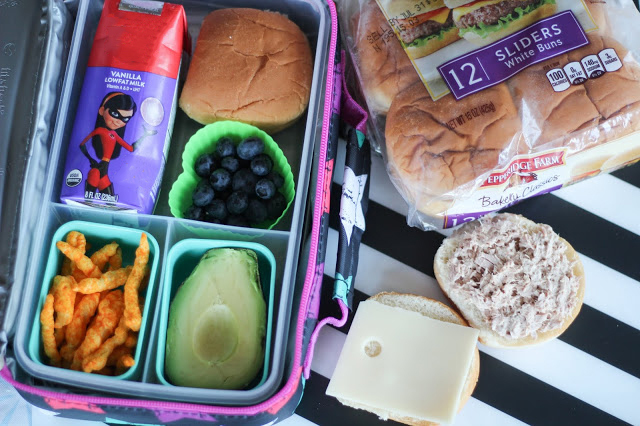 What are you packing in your kids lunchboxes this year? 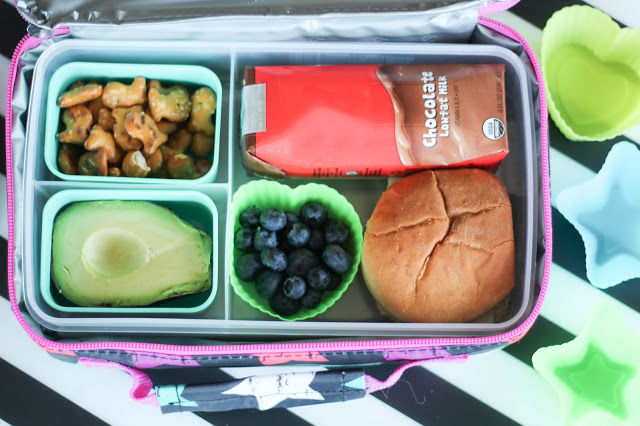 You can see my tips for packing a teacher approved lunch HERE. 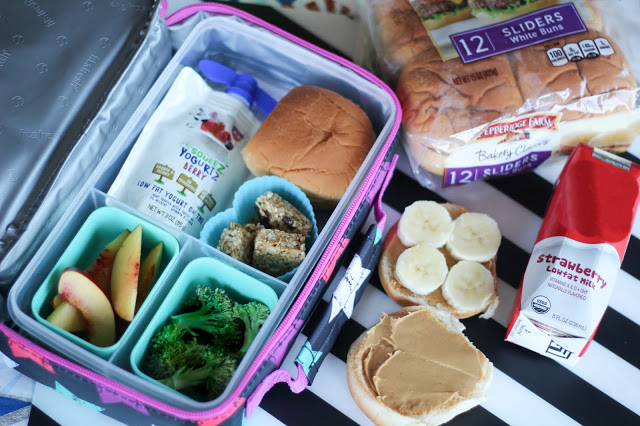 8 comments on "Lunchbox Sliders 3 ways "
I LOVE the peanut butter and bananas sliders! YUM! Parker would love the pizza version! Using slider buns is a great idea. That is the cutest little lunch box EVER!